Our clients are experts in many things. Preparing for PEO proposals can be time consuming and confusing without the right tools. Working with us simplifies this process and eliminates your need to fill out multiple forms, crunch numbers, and decipher which is the best offer for you. With over 780 PEOs nationwide, researching, interviewing and comparing their proposals to determine which one is best for your company is challenging. 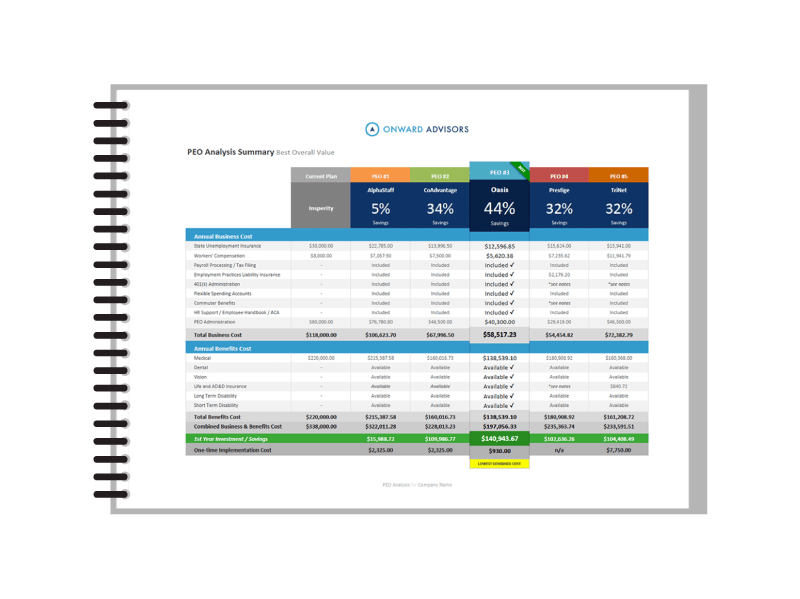 Our PEO consultants will pull the relevant data from each proposal and summarize the results into a side-by-side, apples-to-apples, comprehensive report that is easy to read and understand. Our team is made up of PEO veterans with decades of experience gained at many of the industry’s largest companies. Be confident that you’ll receive the type of objective guidance and insight that can only come from an insider’s perspective. There is no other PEO consulting firm in America that can offer you an independent recommendation based on this level of knowledge. 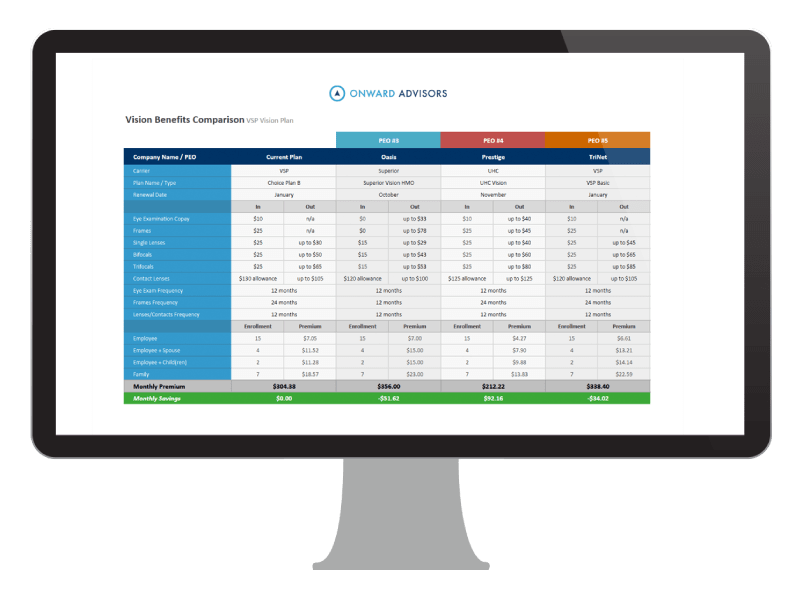 Whether you need guidance in choosing a professional employer organization or would like help understanding and reconciling the costs of your existing provider, we have a platform to meet your demands. 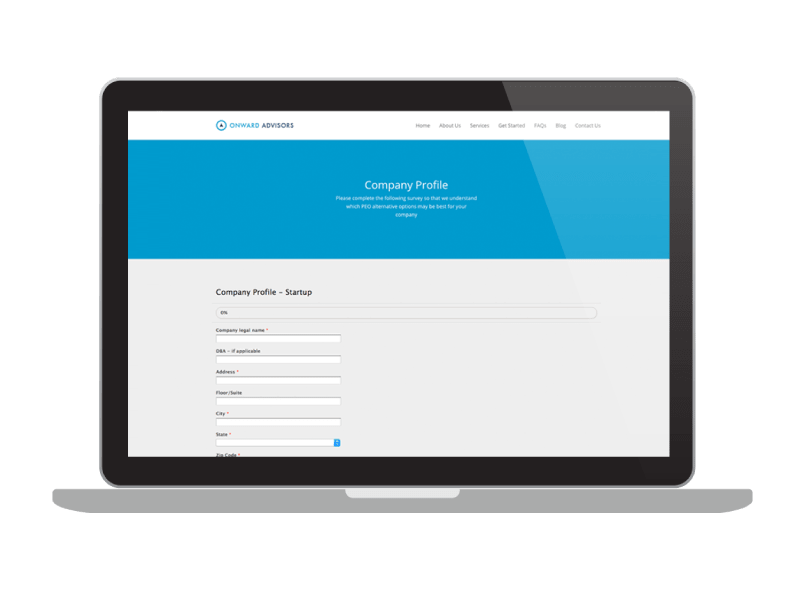 Access our expertise and streamlined process in order to determine the best professional employer organization for your company. Through our industry specific expertise we will break out your PEO fees to determine if you could be saving money. We have answers. The best way to start is to get in touch with us. Stay updated with the latest news and developments via social media.